lol, haven't seen you in game, what's up? Hey, is the server under construction right now? It won't let me log in. yes, it is currently down. Do you know when it will be up? hello, in order to get mod please apply. 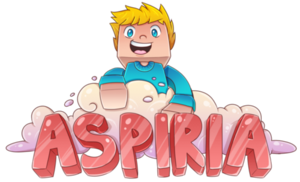 We hope you enjoy your stay at Aspiria! Jenna_The_Cutie and UnstoppableMagi like this. I am a big gamer, I play 2 instruments, and food is my life.